Health benefits of vitamin c are vital to your antiaging program. Foods high in vitamin c provide protection from a number of serious health conditions. 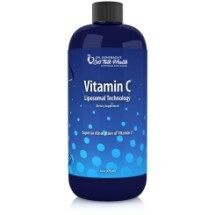 Liposomal vitamin c is a powerful weapon against colds and flu! Most people are familiar with the need for vitamin c, (also known as ascorbic acid) but there are a few things you didn't know about this nutrient that will convince you to make sure you include foods high in vitamin c in your daily diet. Vitamin c is an antioxidant, and although there are other antioxidants in our foods and nutritional supplements, it is vital to all of the body's tissues and necessary for building and maintaining the integrity of collagen, one of the body's main structural proteins. Humans can't bio-synthesize vitamin c, however the normal daily diet for North Americans does contain sufficient vitamin c to prevent severe deficiency. However there is a huge difference between preventing deficiency and optimizing health! Please note: If you have certain hematologic disorders such as thalassemia, anemia, or glucose-6-phosphate deficiency, you should consult a physician before supplementing with vitamin C. This goes for women who are pregnant or nursing as well. Vitamin c is very well tolerated, but it is better to be on the safe side and seed medical advice in these cases. Vitamin c has benefits that go far beyond preventing scurvy. Most doctors do not recognize the importance of micro nutrients beyond preventing deficiency disease, however high levels of this nutrient are associated with numerous health benefits. Naturally one of the best ways to get health benefits of vitamin c is by eating foods high in vitamin c. Here is a short list of fruits and vegetables that contain high levels of vitamin c.
Perhaps one of the latest and most potent forms of vitamin c is called liposomal vitamin c. In this supplement organic phospholipids are used to encapsulate ascorbic acid and make it easier for the vitamin c to get into cell membranes. Whereas the absorption rate of plain ascorbic acid is about 19%, liposomal vitamin c is up to 93% absorbed. This tremendous increase in potency makes it possible to get the health benefits of vitamin c without taking very large dosages which can cause diarrhea. Liposomal vitamin c makes it possible to get health benefits of vitamin c for things like cancer and cardiovascular disease without resorting to intervenous administration. Often patients cannot tolerate the fluid load of intervenous vitamin c but with liposomal vitamin c massive dosages can be used with no strain in the cardiopulmonary system. Liposomal vitamin c is just one of a number of vitamins and nutrients that can be delivered by this new nano lipid delivery system. This is the cutting edge not just for vitamin c but for many nutrients that we can now use with greatly increased absorption. The isotonic and liposomal forms are the MOST EFFECTIVE, then would come intervenous, then fat soluble (ascorbyl palmitate), ascorbic acid powder, then capsules, then tablets. You can buy vitamin c as rose hips which contain other nutritional co-factors that you do not get with straight ascorbic acid. Some formulas contain citrus bioflavoniods that have synergistic effects with health benefits of vitamin c and so provide additional benefit. Clinical studies indicate the baseline for optimal health is between approximately 400mg/day and 1,000mg/day. Take vitamin c in divided doses several times per day, because it is water soluble and tends to get flushed out of the system. Some experts recommend levels even higher. If you have no medical condition that precludes your using high doses of vitamin c, then you can use what is called “bowel tolerance,” to establish an upper limit for yourself. This is the levels of vitamin c intake that causes diarrhea. Keep your intake of vitamin c under the level where you get this effect. Health benefits of vitamin c are well documented and far reaching. Eat plenty of foods high in vitamin c, and use liposomal vitamin c to treat colds and flu. Vitamin c is one of your best weapons against aging and chronic disease. Make sure you use it!